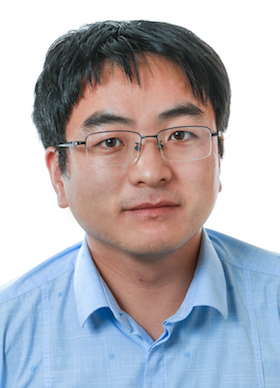 Principal Investigator: Guangwen "Gary" Ren, Ph.D. The Ren group mainly focuses on elucidating how mesenchymal lineage cells (mesenchymal stem cells and fibroblasts) and immune-regulatory myeloid cells (neutrophils and macrophages) modulate the adaptive immune responses in cancer treatment resistance and metastatic relapse. 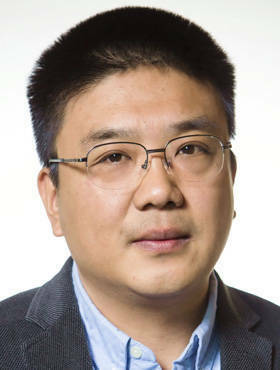 These studies will fully take advantage of the unique research platform--patient-derived xenograft (PDX) tumors in humanized mouse models at The Jackson Laboratory, with the research goal to develop novel strategies targeting tumor microenvironment to improve the efficacies of conventional cancer therapies and new therapeutics such as immunotherapy. To study tumor microenvironment and tumor immunology in cancer therapeutic resistance and metastatic relapse. Mesenchymal stem cells (MSCs), also called multipotent mesenchymal stromal cells, exist in almost all tissues and are a key cell source for tissue repair and regeneration. Under pathological conditions, such as tissue injury, these cells are mobilized towards the site of damage. Tissue damage is usually accompanied by proinflammatory factors, produced by both innate and adaptive immune responses, to which MSCs are known to respond. Indeed, recent studies have shown that there are bidirectional interactions between MSCs and inflammatory cells, which determine the outcome of MSC-mediated tissue repair processes. Although many details of these interactions remain to be elucidated, we provide here a synthesis of the current status of this newly emerging and rapidly advancing field. 8 Ren G, Kang Y. A one-two punch of miR-126/126* against metastasis. Nat Cell Biol. 2013 Mar; 15(3):231-3. 22 Ren G, Esposito M, Kang Y. Bone metastasis and the metastatic niche. J Mol Med (Berl). 2015 Nov; 93(11):1203-12. 68 Ren G, Zhao X, Wang Y, Zhang X, Chen X, Xu C, Yuan ZR, Roberts AI, Zhang L, Zheng B, Wen T, Han Y, Rabson AB, Tischfield JA, Shao C, Shi Y. CCR2-dependent recruitment of macrophages by tumor-educated mesenchymal stromal cells promotes tumor development and is mimicked by TNFα. Cell Stem Cell. 2012 Dec 7; 11(6):812-24. 128 Shi Y, Su J, Roberts AI, Shou P, Rabson AB, Ren G. How mesenchymal stem cells interact with tissue immune responses. Trends Immunol. 2012 Mar; 33(3):136-43. 5 Ren G, Liu Y, Zhao X, Zhang J, Zheng B, Yuan ZR, Zhang L, Qu X, Tischfield JA, Shao C, Shi Y. Tumor resident mesenchymal stromal cells endow naïve stromal cells with tumor-promoting properties. Oncogene. 2014 Jul 24; 33(30):4016-20. 0 Shi J, Hua L, Harmer D, Li P, Ren G. Cre Driver Mice Targeting Macrophages. Methods Mol Biol. 2018; 1784:263-275. 0 Hua L, Shi J, Shultz LD, Ren G. Genetic Models of Macrophage Depletion. Methods Mol Biol. 2018; 1784:243-258. 6 Zheng H, Bae Y, Kasimir-Bauer S, Tang R, Chen J, Ren G, Yuan M, Esposito M, Li W, Wei Y, Shen M, Zhang L, Tupitsyn N, Pantel K, King C, Sun J, Moriguchi J, Jun HT, Coxon A, Lee B, Kang Y. Therapeutic Antibody Targeting Tumor- and Osteoblastic Niche-Derived Jagged1 Sensitizes Bone Metastasis to Chemotherapy. Cancer Cell. 2017 Dec 11; 32(6):731-747.e6. 1 Yang M, Liu Y, Ren G, Shao Q, Gao W, Sun J, Wang H, Ji C, Li X, Zhang Y, Qu X. Increased expression of surface CD44 in hypoxia-DCs skews helper T cells toward a Th2 polarization. Sci Rep. 2015 Sep 1; 5:13674. 50 Zheng H, Shen M, Zha YL, Li W, Wei Y, Blanco MA, Ren G, Zhou T, Storz P, Wang HY, Kang Y. PKD1 phosphorylation-dependent degradation of SNAIL by SCF-FBXO11 regulates epithelial-mesenchymal transition and metastasis. Cancer Cell. 2014 Sep 8; 26(3):358-373. 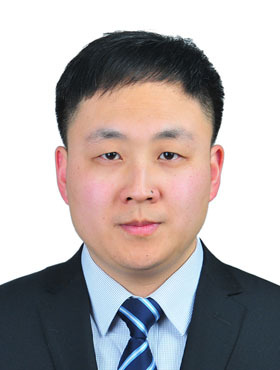 19 Huang Y, Yu P, Li W, Ren G, Roberts AI, Cao W, Zhang X, Su J, Chen X, Chen Q, Shou P, Xu C, Du L, Lin L, Xie N, Zhang L, Wang Y, Shi Y. p53 regulates mesenchymal stem cell-mediated tumor suppression in a tumor microenvironment through immune modulation. Oncogene. 2014 Jul 17; 33(29):3830-8. 39 Ling W, Zhang J, Yuan Z, Ren G, Zhang L, Chen X, Rabson AB, Roberts AI, Wang Y, Shi Y. Mesenchymal stem cells use IDO to regulate immunity in tumor microenvironment. Cancer Res. 2014 Mar 1; 74(5):1576-87.